Say what? This loudspeaker’s hearing-aid technology makes voices easier to hear. It’s a fact of life that our hearing declines with age. 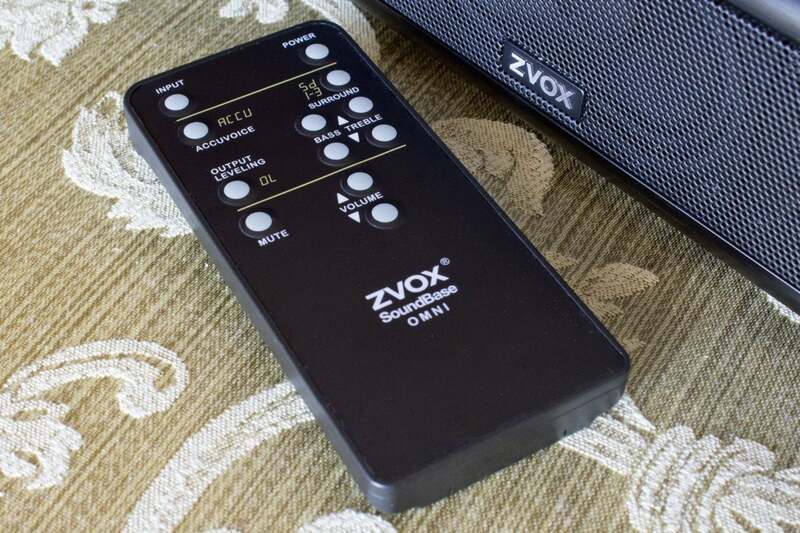 If you or someone you love are constantly turning up the TV volume to better hear what people are saying, give the ZVOX AccuVoice AV200 a try. It’s not an audiophile device by any stretch, but it does what it promises—it makes televised voices easier to hear. 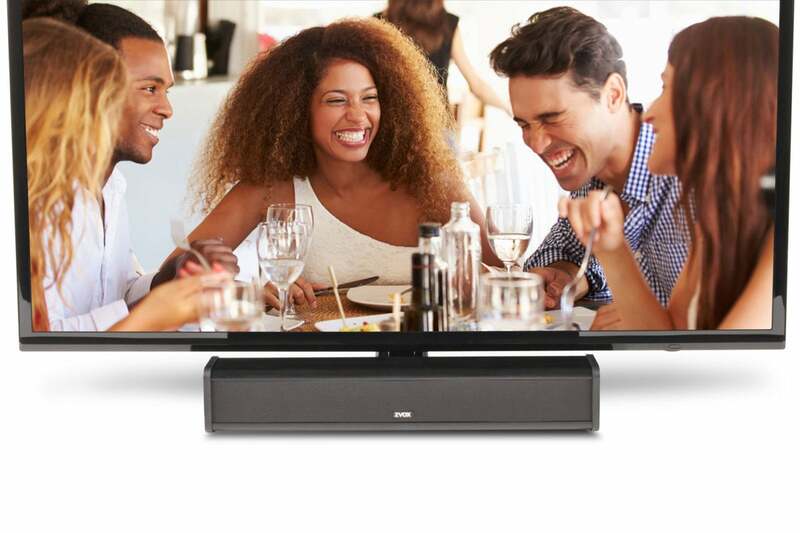 Despite its form factor, ZVOX describes the AV200 as a TV speaker and not a soundbar. Measuring 17 inches wide, 3.1 inches deep, and 2.9 inches high, it is indeed much smaller than the typical soundbar and is therefore easier to hang beneath a wall-hung TV (there are keyholes on the back of the enclosure, and it weighs only 4.9 pounds). It can also sit on a cabinet in front of the TV with little danger of impinging on the screen or blocking the TV’s infrared receiver. ZVOX says it doesn’t even need to be centered to the screen. The AV200 is deceptively simple: It doesn’t support HDMI, so most people will connect it to their TV using the provided digital optical cable. If your TV doesn’t have that feature, there’s a 3.5mm combo analog/digital stereo input. Or you can use both to connect two audio sources and switch between them. ZVOX also provides a 3.5mm analog variable-level output that can be used with either headphones or a powered subwoofer (but you’ll need to rely on the sub’s crossover circuitry, because the AV200 doesn’t have one). The AV200 has a large and bright status indicator. That’s a lot of connectivity features for a speaker in this price range, and ZVOX provides a cable for every option. But notice they’re all wired: The AV200 doesn’t support Bluetooth or Wi-Fi, and it can’t host a USB storage device. You’ll need to rely on your smart TV or some other networkable source if you want to stream music. Audio performance is one of the first places TV manufacturers look to shave costs, especially with lower-end models. This is less of an issue with newer high-end TVs, and I preferred the speakers built into the 55-inch Samsung Q7F quantum-dot smart TV I tested the AV200 with, but that 2017 model costs $1,500 at Amazon. 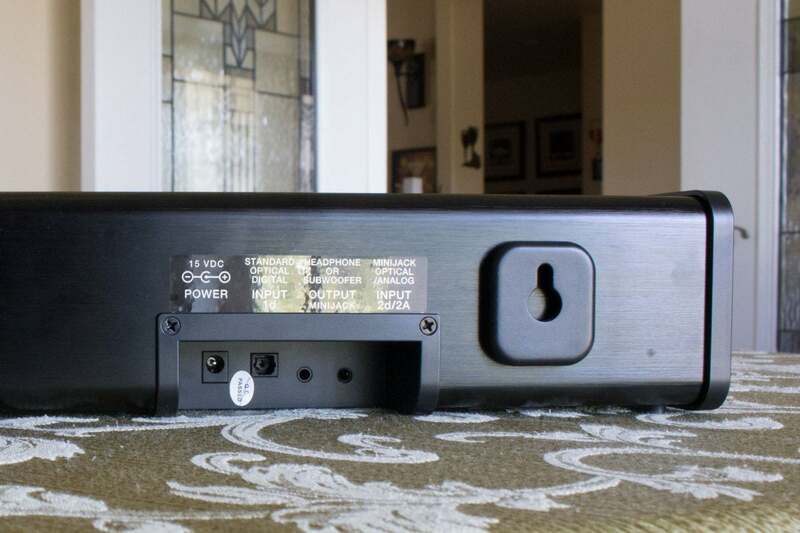 The AV200 is a quality product, but it’s designed for either lesser or older TVs. The AV200 offers simple audio connectivity: From left to right, you get optical digital input, headphone/subwoofer output, and a combo analog/digital input. HDMI is not supported. Most speakers in this price range are housed in plastic or sometimes MDF enclosures. The AV200 features an anodized extruded-aluminum cabinet, although its end caps are fabricated from ABS plastic. ZVOX says this design decision enabled them to make the speaker louder without worrying about unwanted resonance, and it is surprisingly powerful for its size. A 24-watt, two-channel (12 watts per channel) Class D amplifier drives a trio of 2 x 3-inch full-range drivers (paper cones with rubber surrounds). 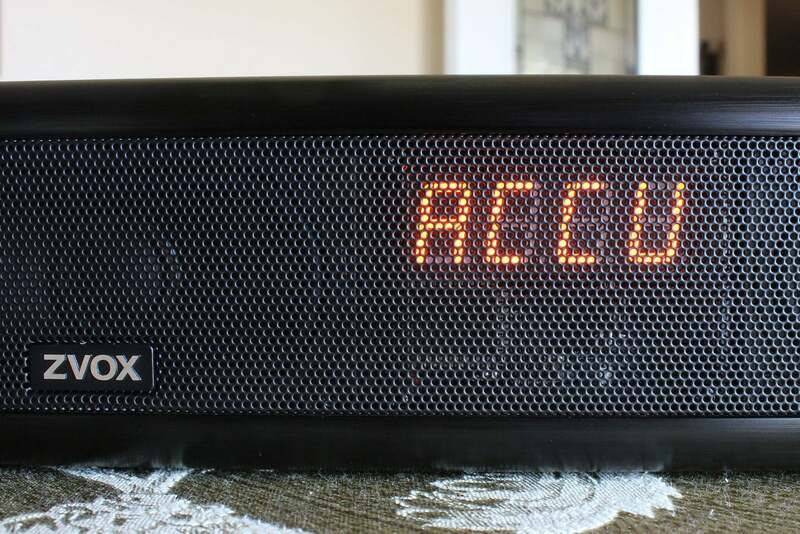 While you’ll never mistake this speaker for a subwoofer-anchored 2.1-channel audio system, it carried its own in my 247-square-foot living room with music, TV programs, and movie soundtracks. The AV200’s primary claim to fame is its promise to differentiate voices from other sounds happening in the background, and it is pretty effective at that. An onboard DSP with an integrated DAC boosts the most common frequencies that human voices produce, effectively lifting them above and apart from whatever music, sound effects, and background noises are on the soundtrack. This makes it easier to make out what the people on screen are saying. The effect is much less intrusive than turning on closed captions, but the flipside is that people whose hearing is not compromised might find this emphasis grating after long exposure. The remote is well labeled and easy to use, even if its thin form factor predestines it to becoming lost in the couch cushions. AccuVoice is easy to enable and disable using a dedicated button on the infrared remote. The remote itself is conveniently sized and very thin—about a quarter-inch—measuring roughly 2 inches wide by 4.5 inches wide. It’s very easy to hold in either hand and mash any of its 12 raised buttons with your thumb. The buttons aren’t backlit, but they are labeled in white ink on a black background. The exceptions are the secondary labels for the AccuVoice, surround-sound, and output-leveling buttons. These are printed in dot-matrix yellow to match the information shown on the speaker’s LCD display and are a little difficult to see. I had no problems with the display itself. It’s large and brightly informs you of volume levels, effects modes, the active input, power status, and other details. The AV200 can decode Dolby Digital soundtracks, and it has three surround-sound modes selectable on the remote that increasingly widen its soundstage. The strongest of these settings can make the speaker sound much larger than it is, but none of them will fool your brain into thinking you’re hearing true surround sound. Pressing the Output Leveling button prevents obnoxiously loud TV commercials from shattering your eardrums during breaks in live TV programming. The last buttons on the remote worth talking about adjust bass and treble levels. Control buttons are located on the ported end of the speaker. The ZVOX AccuVoice AV200 is a solid speaker that delivers on its promise to make TV voices easier to understand. But its optional vocal-frequency enhancement might bother other viewers who don’t have hearing issues. It’s attractively designed, surprisingly powerful for its size, and it comes with a very good remote control. The AV200 sounds good with both music and movie soundtracks, but TV manufacturers have made great strides with audio in their high-end models, and I didn’t think ZVOX’s speaker sounded as good as the speakers built into Samsung’s 55-inch Q7F. On the other hand, I haven’t seen any TV that can match the AV200’s hearing-assistance feature. If that’s something you need, this speaker is a good buy. The ZVOX AccuVoice AV200 makes TV voices easier to understand. It’s a good value even if you don’t need that specific feature.